California Livin Home: ~*PADDLE BOARDING*~ Time and Tide wait for no Man or Woman! 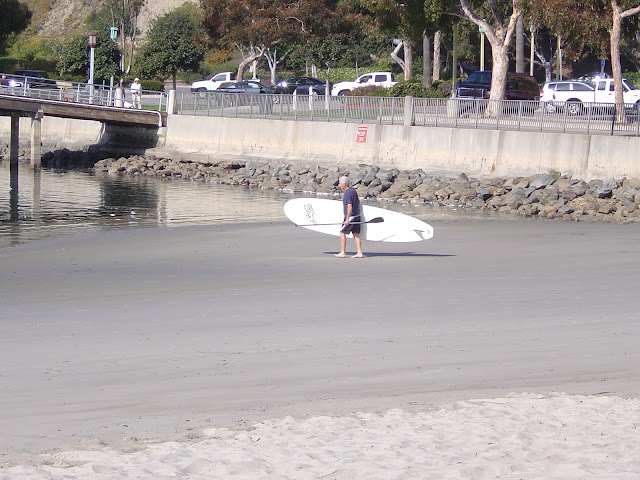 ~*PADDLE BOARDING*~ Time and Tide wait for no Man or Woman! There is a new fitness craze out there and it is called Stand Up Paddle Boarding! Paddle Boarding uses light epoxy boards that are stable and fast with fiberglass/carbon composite paddles. It’s easy to learn (so I have been told) and a great way to get out on the ocean and make new friends and get a fantastic work out! 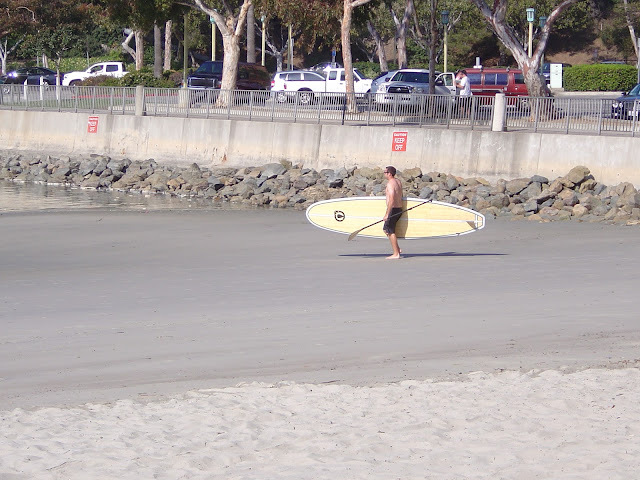 During my walk in the Harbor yesterday and since I had my camera, I took a few pictures of paddle boarders either getting ready to go into the water or actually paddle boarding. I am still not sure about the whole stand up balance myself on a board at my age thing, but my husband is excited to get a board and try it out. So I may be there right along with him. No board? No problem! 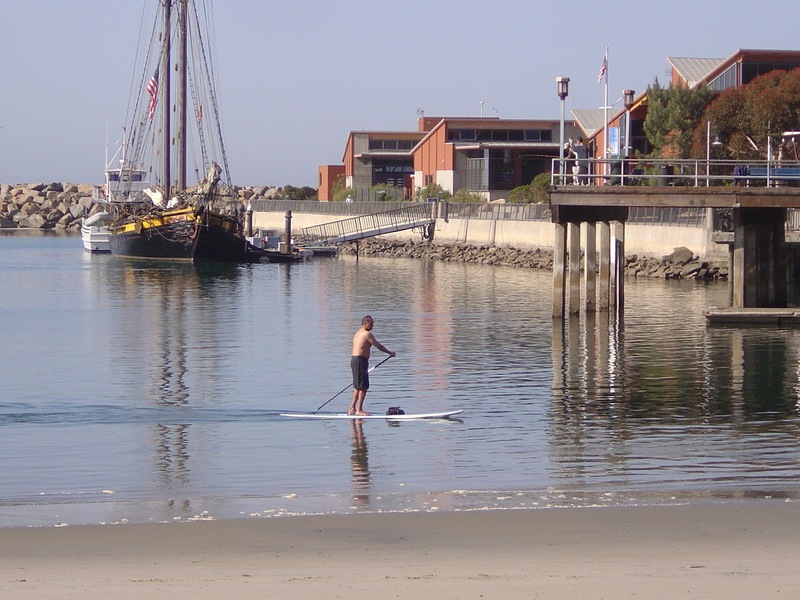 Try it out with either private or semi-private lessons through the OC Sailing & Events Center (949) 923-2215, and then join the Stand Up Paddle Club where you can “check out” the boards on Saturday mornings and paddle around until noon. For more info go to www.ocsail.com or www.westwindsailing.com.